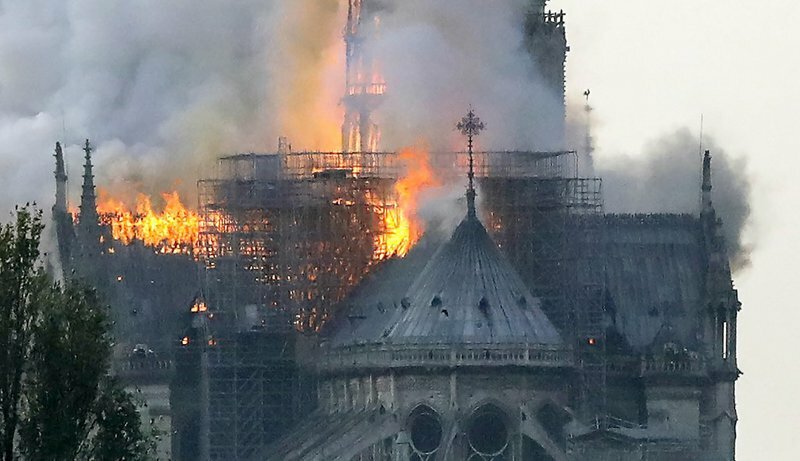 The flames and smoke plumed from the spire and roof of the gothic cathedral, visited by millions of people a year, where renovations are currently underway. Fire trucks could be seen speeding through Paris towards the scene on the Ile de la Cite -- an island in the Seine at the heart of Paris. The Paris police department in a tweet called on residents to avoid the area and to "make way for rescue vehicles". Paris mayor Anne Hidalgo in a tweet described it as a "terrible fire". "The Paris fire service is trying to control the flames," she wrote on Twitter, asking residents to respect the security cordon thrown up around the site.